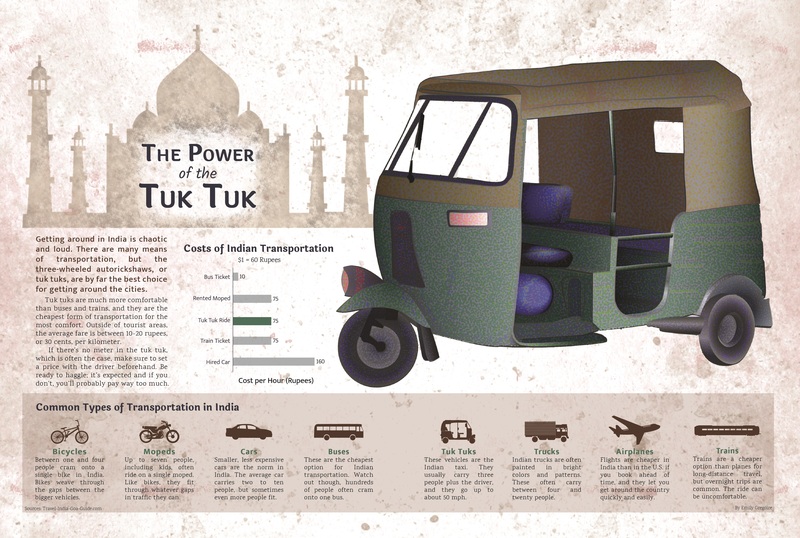 When I traveled to India in May 2014, the different modes of transportation fascinated me, especially the three-wheeled vehicles called tuk tuks. This fascination was the inspiration for this infographic. Adobe Photoshop, Illustrator & Felt Tip Pen // Two page magazine spread. // Created using pointillism for the tuk tuk and layering a gradient underneath it. Responsible for concept, research, illustration, and design.